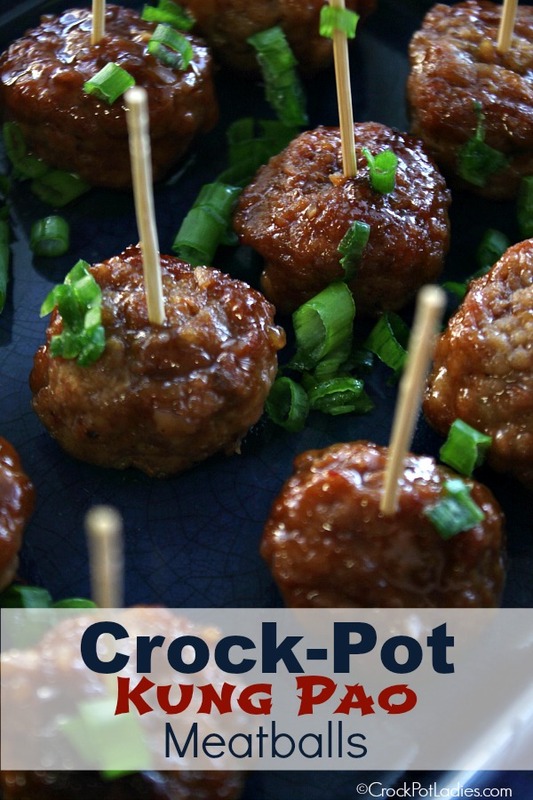 Sweet and spicy Crock-Pot Kung Pao Meatballs make a great appetizer at your next party. Or double up on the sauce and serve them over rice with some steamed or stir-fried vegetables for an easy dinner everyone will love! I was at the grocery store last week and discovered big bags of frozen turkey meatballs on manager markdown. At just $1.99 per bag I could not resist and bought up 5 big bags of them to stash in my freezer. Frozen meatballs are always great to have on hand for party appetizers of course. But my family also really enjoys them for dinner too. There is just something about the fun meatballs shape that is kid-friendly. 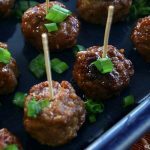 I whipped up these Kung Pao meatballs in a flash early one Saturday morning and tossed them in the slow cooker. And we ate them for lunch that day. I put them on a pretty platter, stuck some toothpicks on the meatballs and set them out on the kitchen island along with a bowl of the sauce for dipping. I also set out some other finger foods like sliced veggies and apple and the kids and I had a little “no special occasion” party and they LOVED it. I think there is just something about eating with toothpicks that made this such a fun lunch for the kids. Normally I like things a little on the spicy side, but because I was serving this to kids (ages 7 to 13) I toned it down on the crushed red pepper flakes and only used a pinch. But feel free to use more if you like it hot! And if you want to make this a full on meal here is what I suggest…double the sauce ingredients. Cook the meatballs as directed in the recipe below. And then make up some white or brown rice and steam or stir-fry up some veggies. My family loves Asian meatballs served this way with veggies and rice and it is just a little something different to make other than traditional stir-fry. 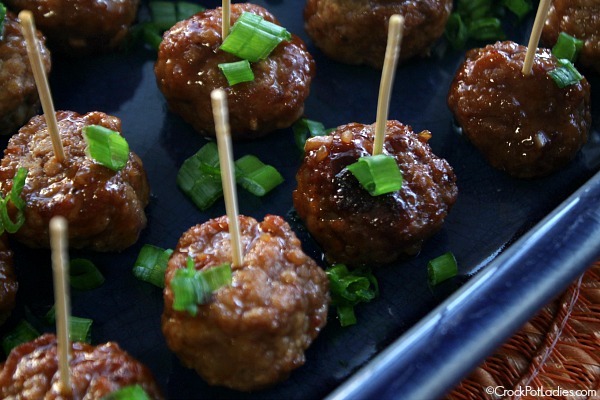 Sweet and spicy Kung Pao meatballs make a great appetizer at your next party. Or double up on the sauce and serve them over rice with some steamed or stir-fried vegetables for an easy dinner everyone will love! This recipe serves 6 as a main dish entree OR a crowd of 24 as an appetizer. 24 ounces Frozen Turkey Meatballs can use chicken, beef, or pork meatballs too. 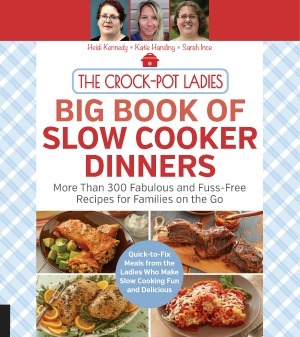 Place frozen meatballs in the bottom of a 5 quart or larger slow cooker. In a small bowl mix together the remaining ingredients except the green onion until well combined. Pour sauce mixture over meatballs and give them a quick toss to coat all the meatballs in the sauce. Cover and cook on LOW for 4 to 6 hours or on HIGH for 2 to 4 hours until the meatballs are hot and the sauce has thickened a little bit and coats the meatballs nicely. Toss the green onion with the meatballs or sprinkle over them before serving.